Despite the recent setback to eMTB riders in Washington State a couple months ago, electric bike advocates appear to be making headway in other areas of mountain biking, and in surprising ways. 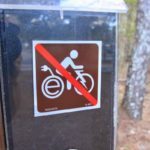 Three years ago the USFS officially decided to manage e-bikes as motorized vehicles on Forest Service land, which effectively shut eMTBs out of some of the best trails in the country. 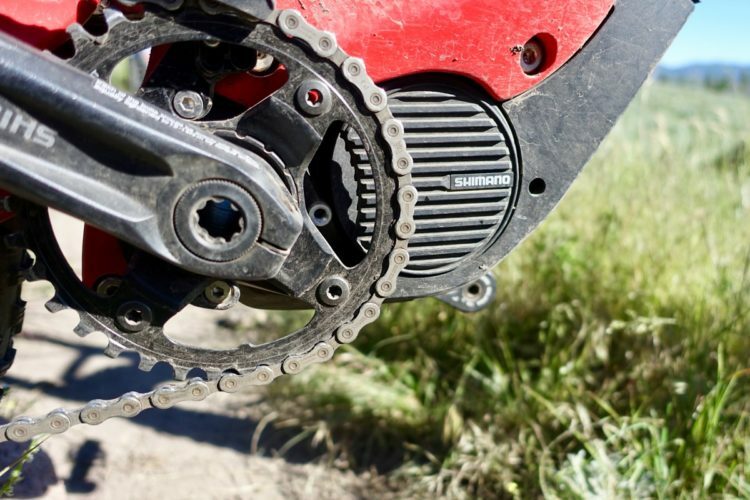 However, the USFS recently decided to allow Class 1 e-bike usage at Mammoth Mountain in California on land the USFS leases to the resort. Bike parks and ski areas like Mammoth Mountain have special-use permits to operate on USFS land, which allows them to develop ski runs and even install lifts and snow-making equipment. So while allowing e-bike usage at Mammoth Mountain, a relatively small area that’s already developed with manmade features, is not the same as allowing wider access to Forest Service managed land, it does appear to potentially open a door, albeit a tiny one. Under this agreement, Mammoth Mountain becomes the first bike park on USFS land to allow e-bikes, though if things go well, it may not be the last. 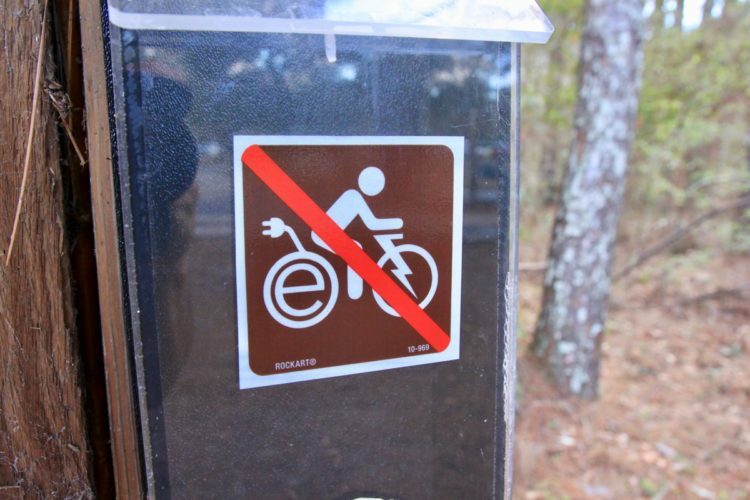 Electric mountain bikes still are not allowed on USFS trails connecting outside the park boundaries. 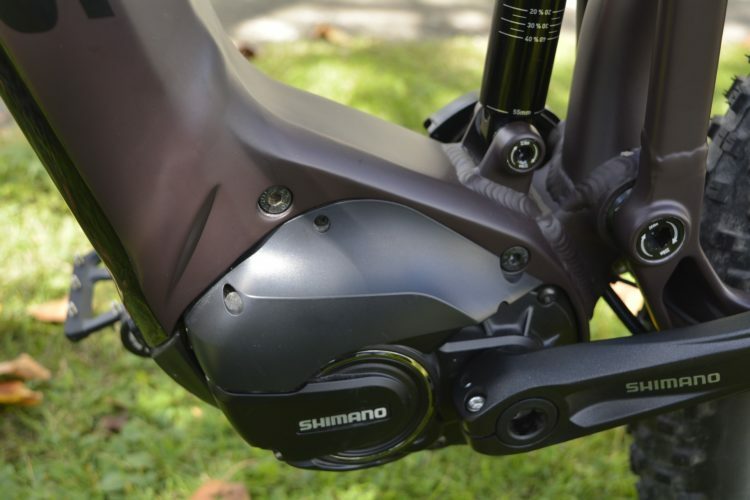 It’s also important to note that only Class 1 e-bikes will be allowed, which is a more restrictive requirement than we’re seeing in other places like Colorado where Class 2 e-bikes are afforded the same access as Class 1 e-bikes. 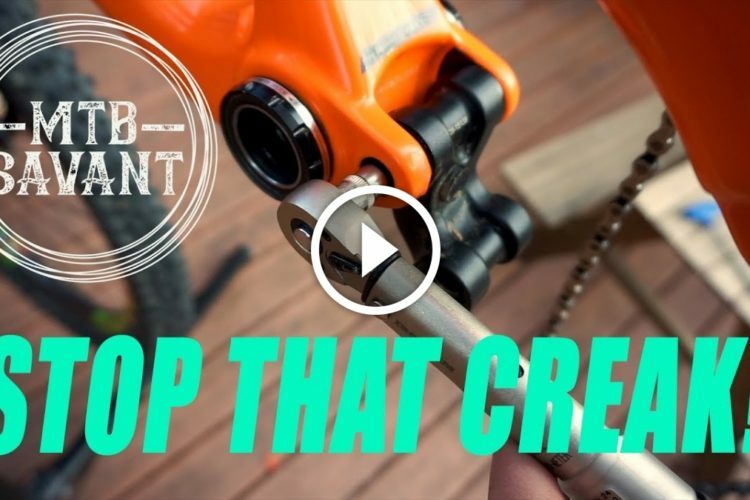 Griffin Bike Park in Indiana recently announced that Class 1 e-bikes would be allowed on trails within the park. The reason for the policy change? E-bikes can potentially help disabled trail users and riders recovering from injuries. Since the beginning, advocates have argued that e-bikes can help the disabled, with some going so far as to suggest not allowing e-bikes could be a violation of the Americans with Disabilities Act (ADA). While we haven’t seen any e-bike bans being challenged along this front directly, some land managers appear to be getting out in front of the issue by preemptively allowing e-bike access to trails. 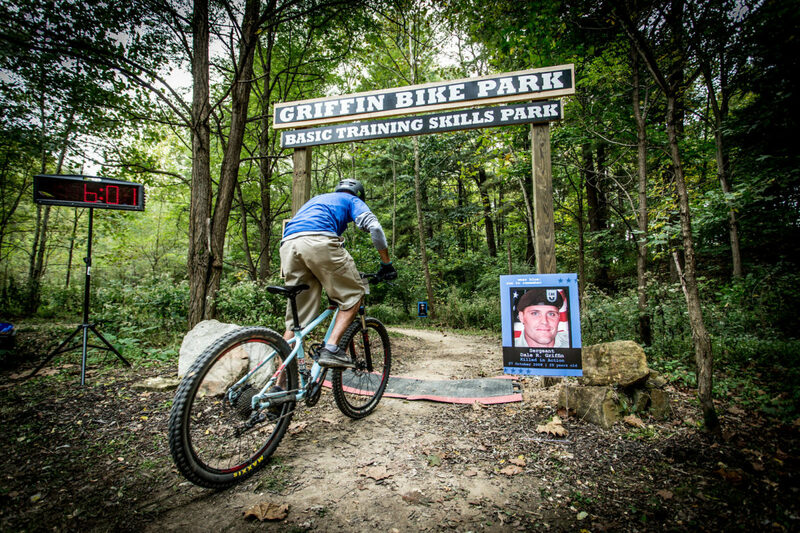 Built to honor the memory of Army Sergeant Dale Griffin, Griffin Bike Park hosts events honoring and benefiting veterans, including those who have been injured in combat. A local news report notes, “while [purists] may not like the idea of an e-Bike, it’s all about opening the trails to everyone.” While the trails are being opened to e-bikes largely to accommodate disabled or recovering riders, anyone can now ride an e-bike at Griffin Bike Park. Earlier this year Singletracks covered e-bike laws affecting singletrack access in the states of Colorado and Washington. 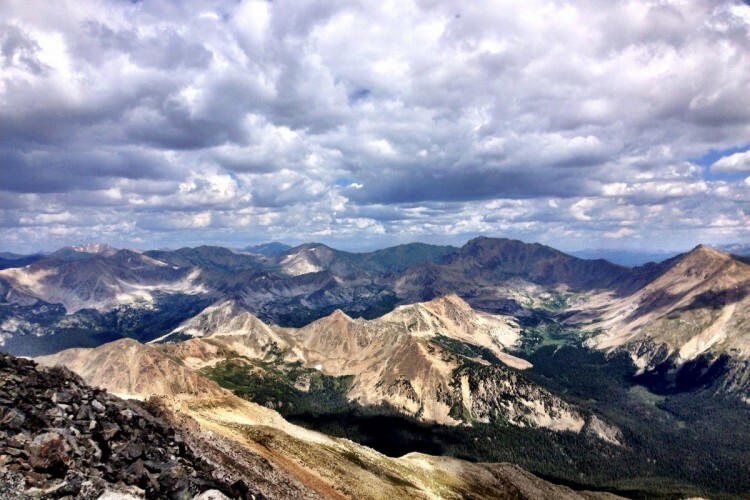 In Colorado, land managers seem split on whether the new law opens trails to eMTBs. In Washington, the law more clearly prohibits e-bike access on natural surface trails. Is e-bike trail access a matter of two steps forward, one step back? We’ll continue to report on the issue as it progresses. Press Release: The STC Responds to "Say No to the Sustainable Trails Coalition"
The more Ebikes we have on trails the stronger our sport will get. That = more bikes sold. More parts sold. More trails built. This will do nothing but make our sport even more popular. I am fully supportive of e-bike usage for disabled riders, but not able-bodied. It may make the “sport” stronger, but not the riders. The key word here is “sport”. If you want a motorcycle, buy a motorcycle and stick to the dirtbike trails. There should be a struggle in getting up that monster hill to bomb down the other side. You should have to build up the physical ability to get where you are going and back under your own steam. What happens when your battery craps out and you still have 5-miles of uphill to get back to the car? 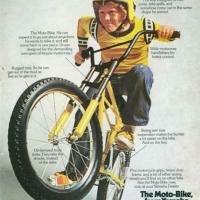 m@frit: As the mtb population ages E-bikes (for those who “don’t have it anymore”) will become more popular. Ego does not fade with age ……………..for many. Don’t use E-bikes and “Our Sport” in same sentence. Ebikes aren’t the same sport as mtbing. Their tons of motorized trails. Go ride them! I think that’s exactly why this article mentions class 1 and class 2 E bikes. How much of an engine will be allowed and should the E bikes have to be pedal assist only for trail riding. I also think the 8000$ full squish mountain bike crowd should realize that not everyone can afford a bike like that that will gobble up obstacles like a motocross bike. I don’t see much of a difference between E bikes and these motocross bikes with no engine (making it too easy to go over obstacles). How about that for a Segway ? I think its great that ebikes are allowed at Mammoth Mountain. 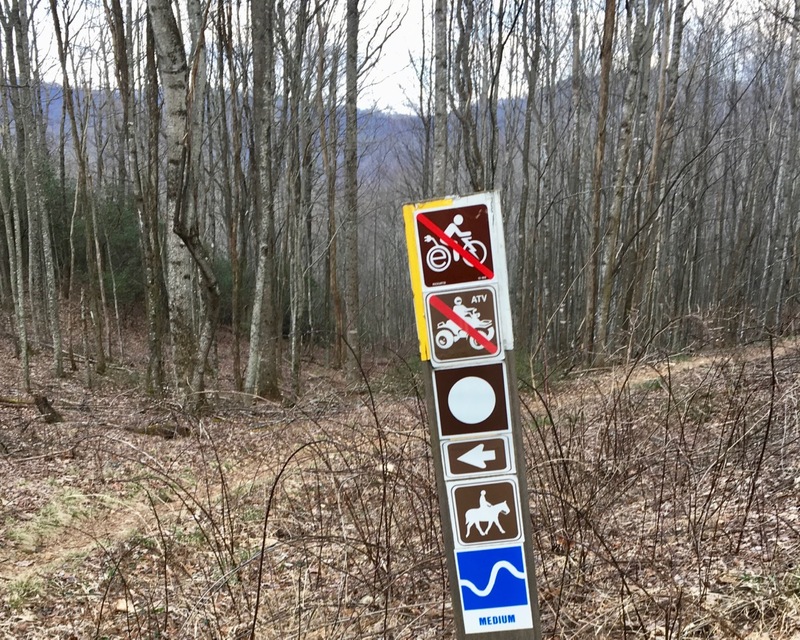 I hope the USFS will work with other areas/regions to give ebike access to trails. I own an ebike and have a friend who has one too and we dont ride any faster than we do on our regular ebikes. We can just ride longer distances. It does make going uphill a lot easier! 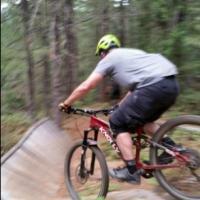 Not sure where the issue of trail damage comes from because they arent faster that a regular bike except going uphill. 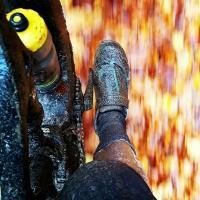 I also dont ride after it rains like some hotshots do. Perhaps all the ebike haters should try an ebike to see that they are not destructive to trails. I dont think they will catch on in the US because they are really expensive and really heavy. Not a good choice if its your only mountain bike. As every technology, ebikes will get cheaper, lighter and better but at a cost to overwhel regular MTB trails. I also don’t have a problem with ebikes, but in their own environment. Ebikes intermingled with regular bikers wouldn’t be smart, not only will it just pissoff both type of bikers (ebikes/non-ebikes) as one will want to pass by and the other won’t want to be rushed. This might also be a liability concern to the parks as ebikes are motorized vehicles, this is why they are treated differently. Solution, give them their own trails so they can ride till the cows come home, or their batteries die. US Rangers have been using Emtb’s. Rangers have stated – it’s a social issue and Class I pedelecs will be allowed everywhere but it will be opened up piece by piece. Europe history and the industry sales in the USA tell you all you need to know about how this will play out. The trail builders I ride with have no problems with them. I have friends partners are getting them to ride trails for the first time in years. People are being drawn into cycling on singletracks, this will become a wave of new users of the trail systems and will be difficult at first but it will increase access for everyone. There’s no difference between a motorbike and an ebike, both are motorized. You may think there are differences in the horsepower between them, but what’s to stop an ebike owner tweaking their ebike to be as compatible as a motorbike? I’m certain everyone is aware manufactures are now producing emotorbikes, so where will the difference be eventually, none. 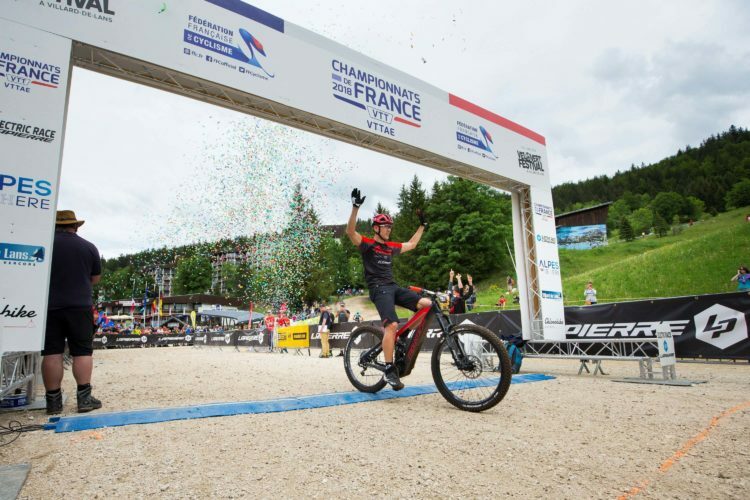 Ebikes have nothing to do with the MTB sport. 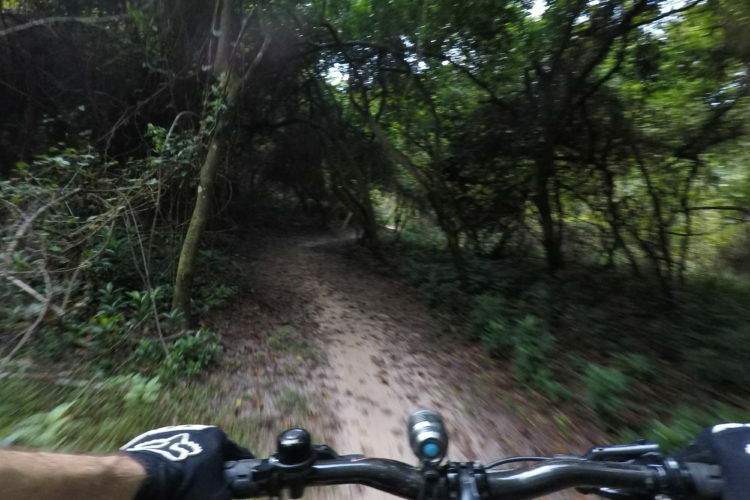 Ebikes are wonderful as transportation and as mention by Tinfang, help rangers tackle miles of off road carrying their gear for the public safety, but not to be allowed by any joe in trails used by regular bikes. Why do you think every state banned all two wheel hoverboards from being used in the same common areas as pedestrians, because it doesn’t belong as it’s a safety liability, same reason ebikes don’t belong. There are plenty of motorbike trails in this country, go and shred those trails. No ebike experience personally. I still tend to side with allowing them on trails. My biggest concern is the ebike rider. 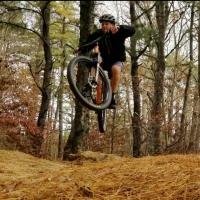 People can be jackasses on a regular mtb. 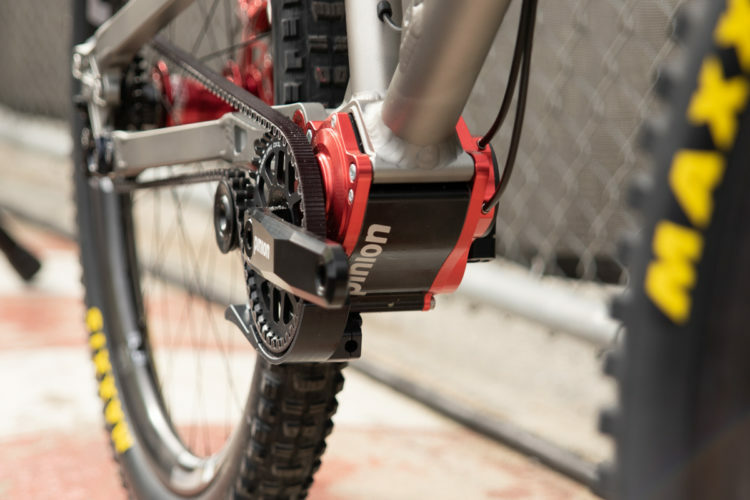 An ebike allows jackassery to kick up a notch. It’d be nice if someone needed a license to ride one…if just to try to curtail potential jackassery up front. Hopefully, any folks riding them will be extra responsible and courteous about it. Ebikes are a tough one that is not going away. The easy out for agencies are that they do contain a motor and therefore are motorized. The land managers guidelines are motorized (multi-use) or non motorized for trail descriptions. In Idaho we have around 5,000 miles of multi-use trails that are open to anything single track and probably twice the miles of non motorized with a lot locked up behind wilderness boundaries. Technology is changing in mountain bikes and users just as it is in the motorized side with UTVs that are over the typically 50″ requirement. One thing to think about for land managers is that just because the industry is building something doesn’t mean that they are always going to be able to provide access for something. Look at the 65″ UTV’s they want trail access which is basically a road. Are trail builders now going to start building roads? No. I don’t think ebikes should have their own trail we have plenty of trails open to them. We have motorized trails (multi-use) and non motorized trails. I ride both, I have mountain bikes and motorbikes. If I want to ride a cleared trail mostly that is the multi use trail that is supported by dollars to clear, non-motorized has little to no funding and is rarely cleared in Idaho. That is a whole nother argument that we don’t have time for right now. I do agree there will be a thin line between Ebike usage and the new tech. in Emotorbikes. They are both electric both are whisper quiet, both have motors. If you allow an ebike on a trail how does one draw a line between that and a emotorbike, both are emotorbikes technically. And yes I have experience with both including the new Alta electric motorcycle, which in its own right is a significant advancement just as the e-bicycle.